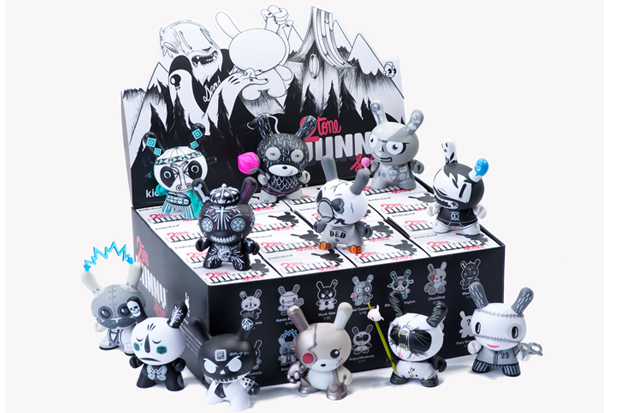 Yesterday, Kidrobot released a brand new, ultra-limited Dunny set named the 2Tone series for the fact that all of the 3″ Dunnys feature predominantly black and white designs. 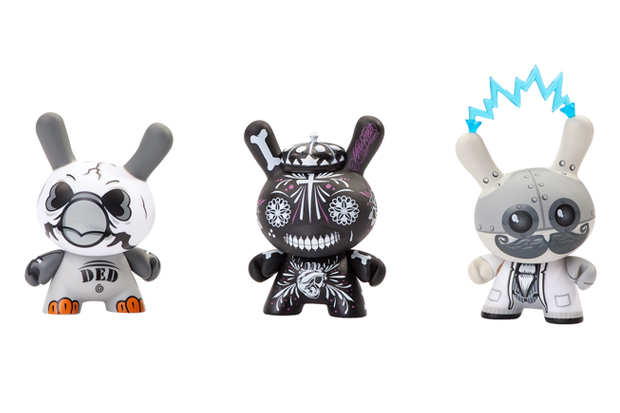 The 2Tone series is comprised of 14 Dunny designs by Kidrobot favourites old and new, and follows up the successful 2010 Series with another strong release. The series features designs by Chuckboy, Doktor A and Huk Gee amongst others, and continues what was established in the 2010 series with some heavy modifications, alongside some of a more clean and simple approach. There’s a lot of good stuff here, but the work of one Doktor A shines through as my particular favourite, and I’m glad to see him back. 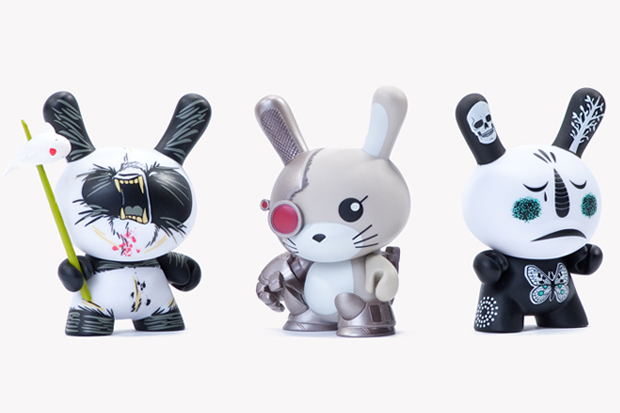 The 2Tone Dunny Series is available now, in individual blind boxes (or as a case) from the Kidrobot London store, or from Kidrobot online. As this is a limited Dunny release it wont stick around long, so get involved now while you have the chance.